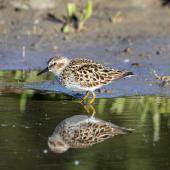 The least sandpiper is the world’s smallest shorebird. It breeds throughout much of the northern reaches of North America. They have a very wide non-breeding range, from Oregon and New Jersey, United States to northern Chile and central Brazil. 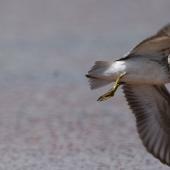 Their migration habits differ from their close relatives the western and semipalmated sandpipers, as they do not form huge flocks, nor do they apparently depend upon a few key staging sites. These facts make it difficult to determine population size, however current estimates suggest a population of 700,000 individuals. 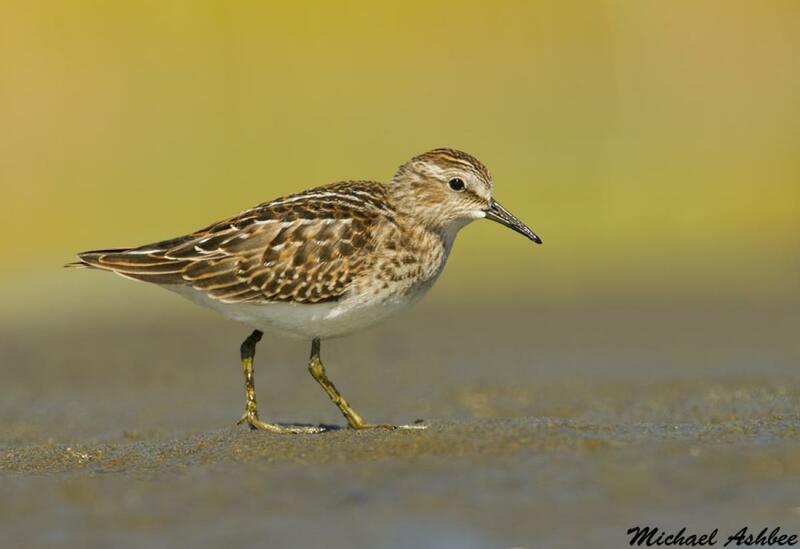 The least sandpiper is a tiny sandpiper with yellowy-green legs and a bill that is black, slightly curved downwards and fine-tipped. During the non-breeding season its upper plumage is darkish brown, it has a brown upper breast, and white lower breast and belly. 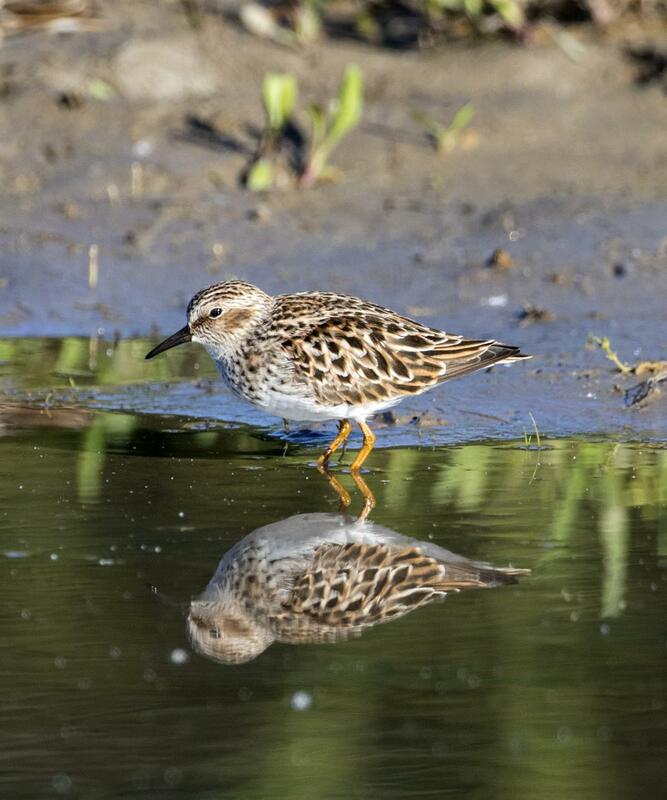 In breeding plumage the feathers of the upperparts are darker, with rufous edges, and the breast is finely streaked, reminiscent of a tiny pectoral sandpiper. 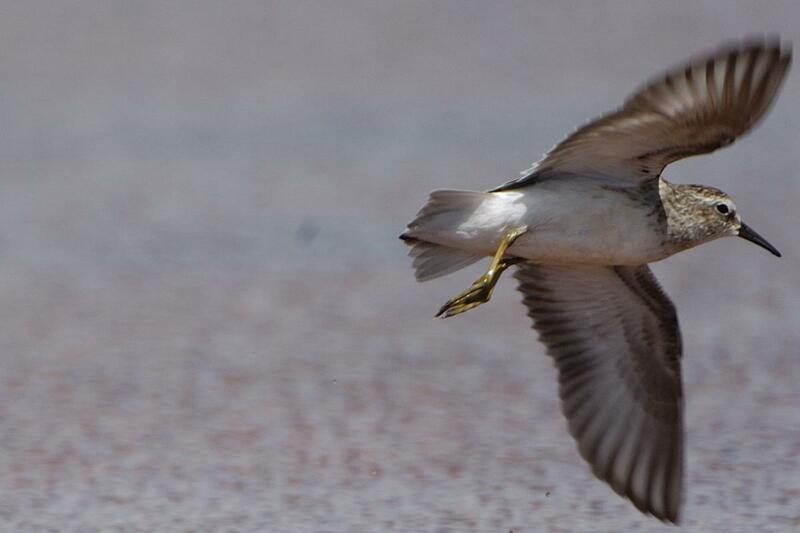 Similar species: least sandpipers are distinguished from most other small sandpipers by their yellow-greenish legs. Due to their shared leg colour, they are only easily confused with Temminck’s stint, long-toed stint, and broad-billed sandpiper. Temminck’s stint (C. temminckii) is unlikely in NZ as its nonbreeding grounds are in Africa, India, and southeast Asia, and it has not been recorded from Australia. 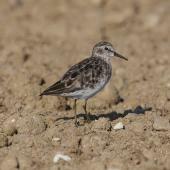 The differences between long-toed stints and least sandpipers are subtle. Long-toed stints are generally brighter, looking like a miniature sharp-tailed sandpiper, with a rufous cap and prominent pale supercilium. 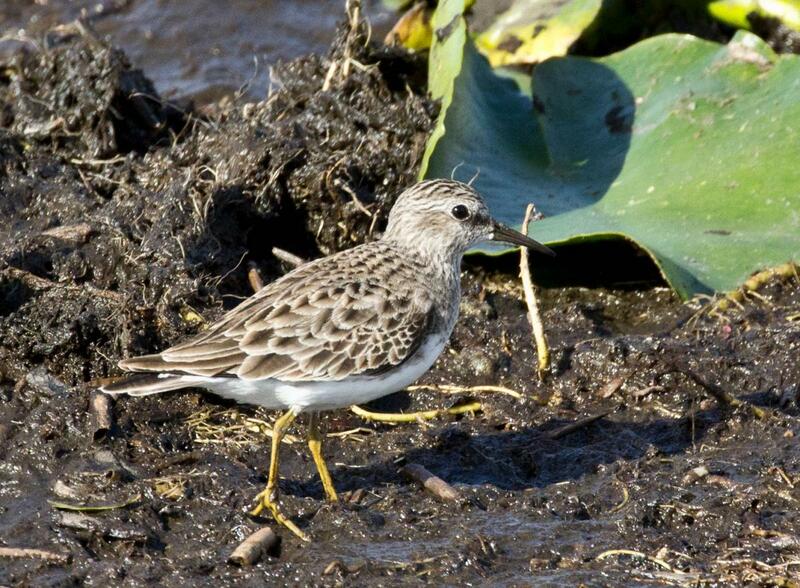 Least sandpipers tend to have a scalloped mantle compared to the striped mantle of long-toed stints. 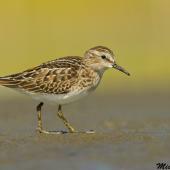 Long-toed stint is more elongated, with a longer neck and longer legs and toes, compared to the more compact least sandpiper. 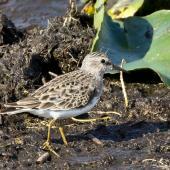 Long-toed stint also has a longer bill that is paler at the base. It is best to try to get photographs to enable detailed examination. Broad-billed sandpiper is larger, with a longer, heavier bill and a double (Y-shaped) supercilium. 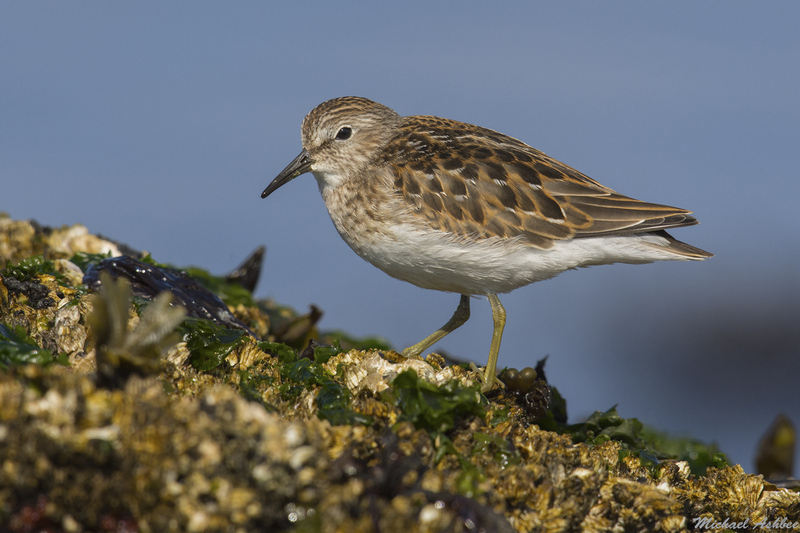 The least sandpiper breeds throughout Alaska and much of continental northern Canada, including northern regions of Yukon, Northwest Territories, Nunavut, Manitoba, Ontario, Quebec, Labrador and Newfoundland. Its non-breeding range extends from Oregon and New Jersey (United States) to northern Chile and central Brazil. During the non-breeding season, they can be found in a wide range of aquatic habitats including coastal beaches, mangroves, and freshwater wetlands. 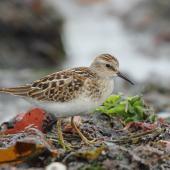 The total population of least sandpipers is estimated at 700,000 birds. 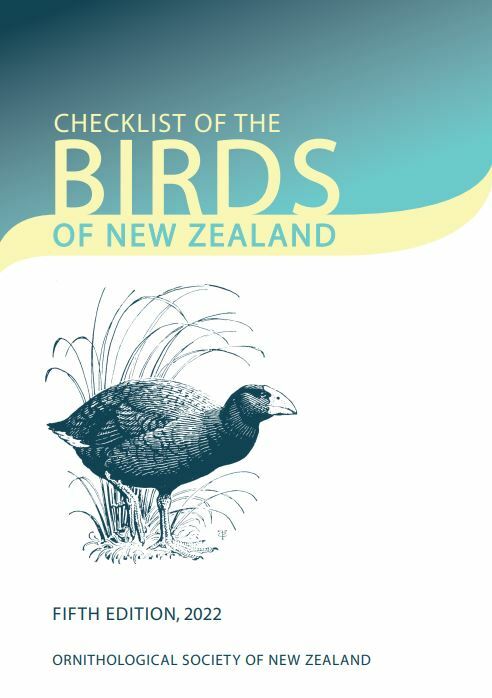 Single record: a bird observed at the mouth of the Wairoa River, Hawke’s Bay in November 1952. Probable sightings at Ahuriri Estuary (November 1953) and the Firth of Thames (1972). 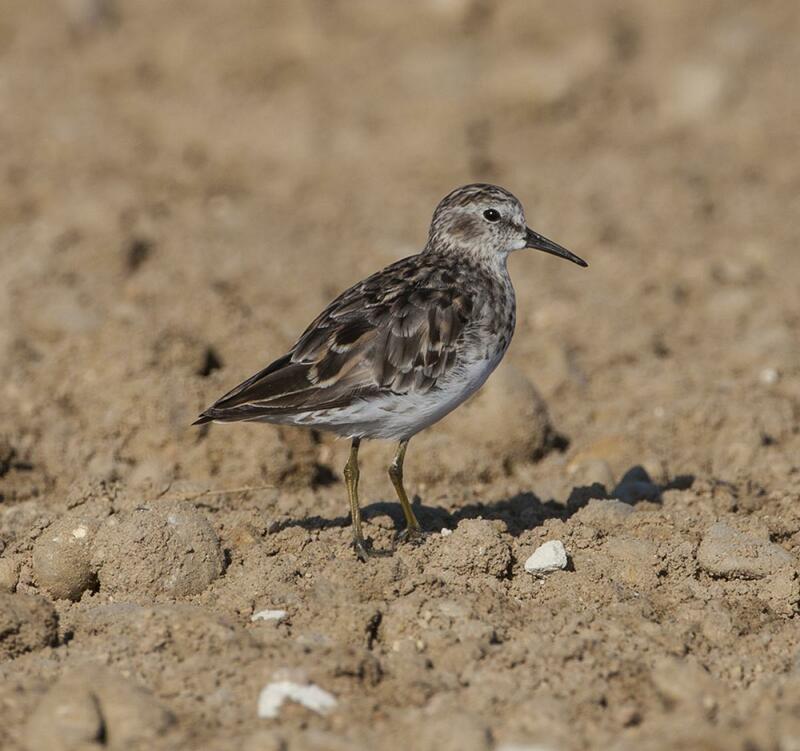 Like other small shorebirds, least sandpipers are gregarious and most often found in flocks; however they tend to feed in drier areas than other waders. They are not particularly flighty, and so an observer can often approach them quite closely before they fly away (much like wrybills). Least sandpipers eat insects and marine invertebrates, primarily amphipods and isopods. Brathwaite, D.H. 1955. Waders on Ahuriri Lagoon, Napier. Notornis 6: 145-150. Morrison, R.I.G. ; McCaffery, B.J. ; Gill, R.E. ; Skagen, S.K. ; Jones, S.L. ; Page, G.W. ; Gratto-Trevor, C.L. ; Andres, B.A. 2006. Population estimates of North American shorebirds, 2006. Wader Study Group Bulletin 111: 67-85. Nebel, S.; Cooper, J.M. 2008. Least sandpiper (Calidris minutilla). The Birds of North America Online (A. Poole, Ed.). Cornell Lab of Ornithology, Ithaca. Paulson, D. 1993. Shorebirds of the Pacific Northwest. UBC Press, Vancouver, BC. Stidolph, R.H.D. 1953. 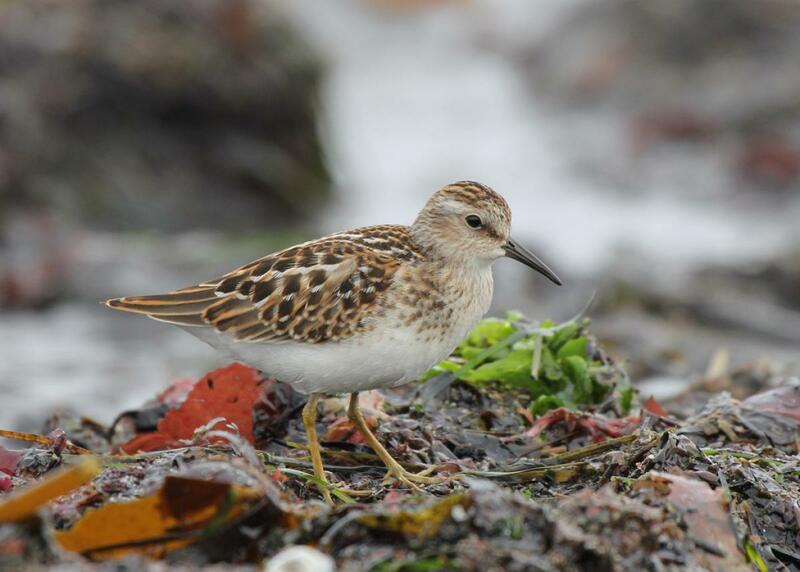 New wader for New Zealand – least sandpiper. Notornis 5: 115. A tiny wader with yellowy-green legs and a slightly decurved fine-tipped black bill. Non-breeding birds have dark brown upperparts, brown upper breast, and white lower breast and belly; breeding birds have darker upperparts with rufous edged-feather and a finely streaked breast.